SNAB Paranthas & Rice for Kids Recipe Book | Multicolour | All about recipies of cooking nutrious food . Wondering what to cook for your little one? 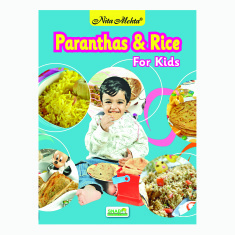 Here is a handbook that has recipes that helps you cook nutritious food for your little one. Feature 2 : Book written in english language. Feature 1 : All about recipies of cooking nutrious food .